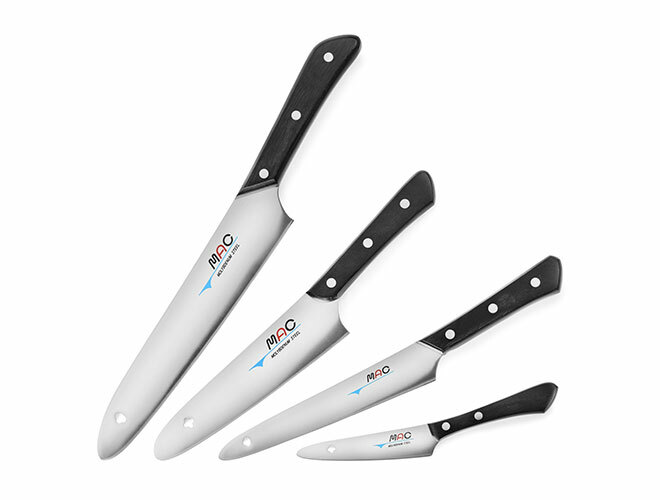 The MAC Original knives feature thin, razor-sharp blades, made of extra-hard high-carbon Molybdenum Vanadium alloy, making it harder, sharper and more durable than other Japanese Knives. 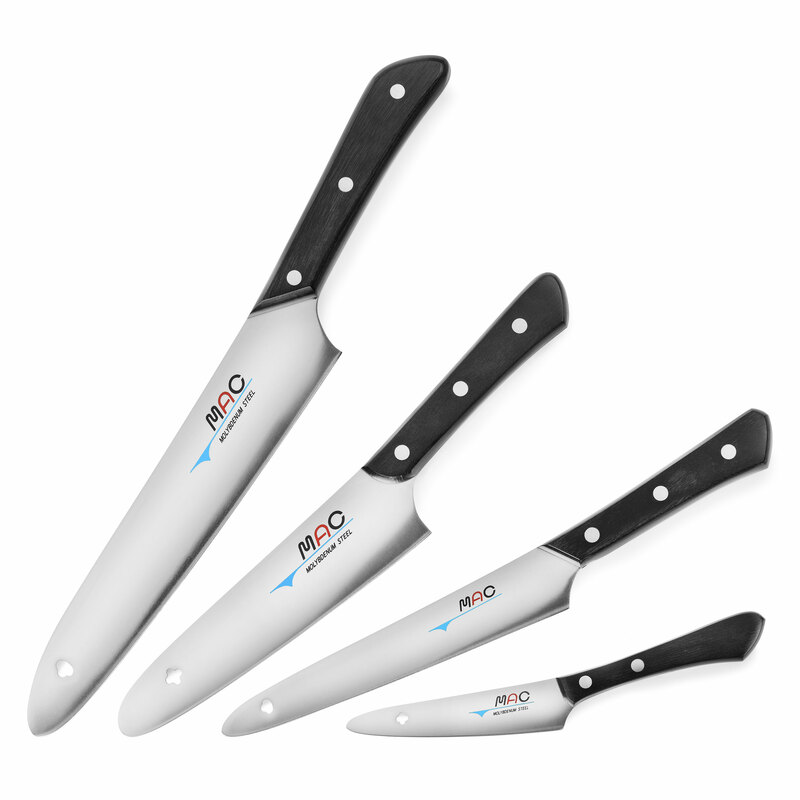 The ergonomic Pakkawood Handles are specially shaped for extra clearance while cutting, making them much easier to grip and handle. The MAC Original Series, which is manufactured in Japan, was first created over 40 years ago and is known for its long-lasting sharpness.